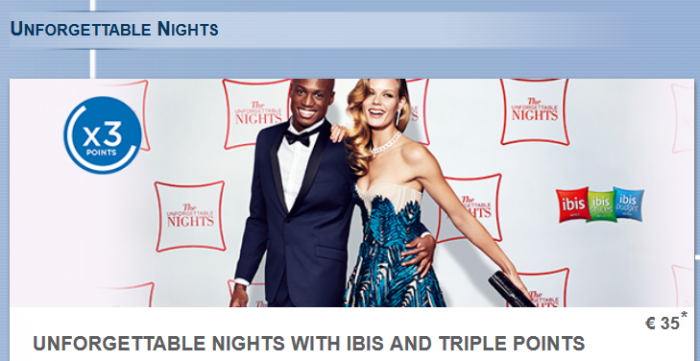 Le Club Accorhotels has launched a promotion for Ibis and Ibis Styles stays in Sweden this summer. You can earn triple Le Club Accorhotels points for stays between July 1 – September 6, 2015, that are booked June 19 and September 6. Note that you can take advantage of this offer up to three times during the offer period. You have to bear in mind that you earn less points per euro spent at Ibis and Ibis styles compared to full ‘er service brands. I may be in Stockholm next month for a night. Will probably choose one of the full service hotels, however. 1. General Le Club Accorhotels terms and conditions apply to the “Unforgettable nights’ offer. 2.This offer is valid for a stay from July 1 and September 6, 2015 in one of the participating hotels in Sweden and booked between June 19 and September 6, 2015. 3. This offer entitles Le Club Accorhotels Loyalty members, regardless of their status, to benefit from earning x3 bonus points in participating hotels. 9. This offer can be used three times per member during its validity period. Next articleLondon Heathrow Airport: Protesters On Runway Result in Delayed And Canceled Flights!